History was made in the Billboard’s Social 50 Chart that was launched back in 2010, as four acts from the Korean pop made into the top 10 for the first time ever. The chart, dated March 17th, is led by BTS and following the band in the top 10 are EXO, Wanna One and Got7. Next Big Sound, a music analyst company which powers the Social 50, tracks and ranks the most popular singers or bands, based on the activity on more favored social websites. Among the sites used by the company are Facebook, Instagram, Twitter, YouTube, Tumblr and Wikipedia. Depending on the website, the chart is calculated by combing the increase in friends, followers or fans, as well as page views and engagement. The latest activity tracked of the chart was at the end of March the 8th. With 34.2 million mentions on Twitter and YouTube likes or dislikes around 1.3 million playing a major role, BTS is at the top of the pile, according to data released by Next Big Sound. 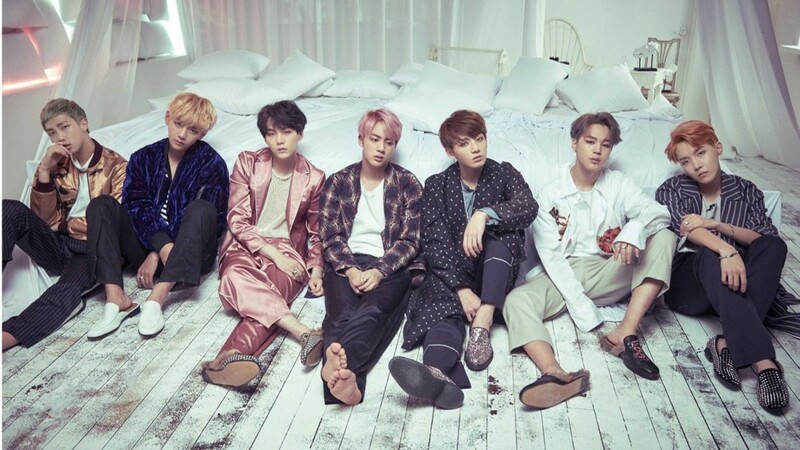 The Social 50 has been led by the Korean band for a total of 65 weeks, as they had J-Hope debuting a solo and Suga celebrate her 25th birthday quite recently. Meanwhile, just behind BTS is EXO in the 2nd spot, despite seeing a decline in multiple metrics. The band recently posted an image on Instagram that was in support of the Winter Paralympic Games in 2018 held in Pyeongchang, which helped the 985,000 reactions on their account, to go with 525,000 views on their Wikipedia page. Breaking into the Top 5 of the Social 50 for the first time was Wanna One, as the band climbed 7 places from 11th to occupy the 4th spot. The band’s Instagram account gained 58,000 new followers and had 7.4 million reactions, largely owing to their new EP’s promotion. The album ‘0+1=1 (I Promise You)’ is set to be released on the 19th of March. Completing the quartet of the K-pop bands in the Top 10 of the Social 50 is Got7 at the 6th Spot. This is the band’s first appearance in the top 10 since April 2016, as they experienced a 175 percent boost in reactions on Twitter which total at 1 million. ‘Eyes on New’ which is the boy-band’s new EP, was teased through-out the week and ended up being released on the 12th of March. K-pops have previously managed only three acts in top 10 of the Social 50 in a week. That has happened on five different occasions, with the first instance occurring on the rankings released on 2nd December 2017 that included BTS, Wanna One and SEVENTEEN. The most recent one was to occur last month, when BTS, EXO and SEVENTEEN made an appearance in the top 10 of the chart dated 24th February. Among the K-pop acts influencing the Social 50 so much, Miley Cyrus has almost managed to land in the 3rd spot jumping up from No. 3. This is her highest rank since October 2017.